I shrieked with excitement when I received an email notifying me of my acceptance into the Appalachian Mountain Photography Competition. It was the first time I had entered a photography competition, and I was beyond excited. And even though my first time was initially fraught with anxiety as I waited for an email to hit my inbox, overall, it was an wonderful experience, and I felt honored to have my photos next to the other talented photographers who had entered. For the last few years, I have been a contestant in the Appalachian Mountain Photography Competition. 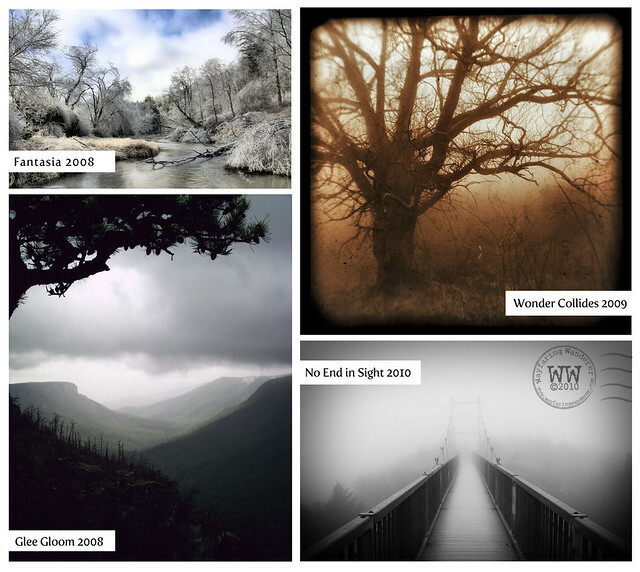 Every year, I have faithfully gathered my favorite digital images to enter in the open categories—like, Blue Ridge Parkway Vistas, Flora/Fauna, and Landscape to name a select few. So far, I've had at least one photo selected to be a part of the competition each year I have entered. Being a part of this photographic competition has helped me become more confident about the work I produce. Having that validation—even though it shouldn't be necessary—was a big deal to me. I mean, the fact that an image I created was picked against hundreds of entries gave me a very warm and fuzzy feeling, indeed. This year, I didn't enter any of my photographs. It's not because I didn't want to. It's because I couldn't. This time around, I will be taking part in the behind-the-scenes portion of the annual photo contest. It floored me to get an email throwing out the idea of me being a juror from the contest director. I could hardly wrap my head around such an unexpected request. The proposal made me nervous. It made me question whether or not I was even worthy of such a privilege. I waffled before replying because I didn't want to seem too eager (even though I was). Although I'm sure that I didn't hide my excitement very well even via email. I was extremely flattered that the organizer thought about me when making this big decision. A lot rides on the fact that the judges will select a great group of photos that viewers will enjoy and appreciate. I'm very much looking forward to taking part in this new way. And I'm even more excited about getting to see all the wonderful submissions from the talented photographers from all over the appalachian mnts (and beyond). The contest has already closed (as of Dec 17th) and the preliminary round of judging will be coming up in mid-January. It'll be an interesting experience to see a different side of the competition, and I feel very lucky to be a part of this process. the cool thing is as a part participant you can certainly have an emotional connection to the photographers. Beautiful photos. It will be neat to see the other side of the competition. Congrats!